Paris area France Take A Break Holidays. 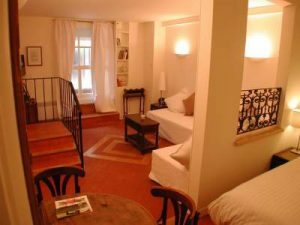 Paris area selection of Accommodation Apartments for your next vacation. How about that long awaited vacation to Paris? A microwave, fridge and dishwasher are provided in the kitchen at the Mithouard Apartments. Additional facilities include a washing machine, vacuum cleaner and a coffee machine. A free welcome kit with 6 coffee capsules, tea and 2 bottles of water is provided. Children’s toys are also supplied. Guests also get a 10% discount at the Il Suppli, an Italian restaurant located 2 km away. 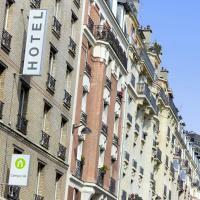 Campanile Paris 15 – Tour Eiffel is a 10-minute walk from the Eiffel Tower and Champ de Mars. It offers rooms with simple décor and free Wi-Fi access. The rooms are equipped with a flat-screen TV. There is also a private bathroom with a shower. A buffet breakfast is served daily at the Campanile Paris 15’s dining area. A 24-hour front desk service with daily newspaper is also available. Other sites nearby include River Seine, 500 m away, Les Invalides and Trocadero. Metro Dupleix is 450 m from the Hotel Campanile – Tour Eiffel, which can take guests to all the famous sites of Paris. 15th arr. is a great choice for travellers interested in romance, monuments and architecture. 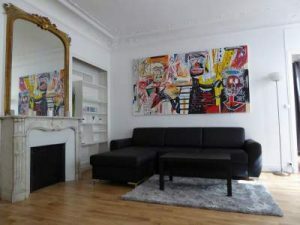 15th arr., Paris – Metro access Accommodation. This Art Nouveau styled hotel is located beside the River Seine, just a 10-minute walk from the Eiffel Tower. Bir-Hakeim Metro Station is directly opposite the hotel and offers easy access to all of Paris’s famous sights, such as the Arc de Triomphe. The air-conditioned rooms are contemporary in style and offer free WiFi. They feature double glazed windows, a flat-screen TV with satellite channels and a bathroom with free toiletries and a hairdryer. 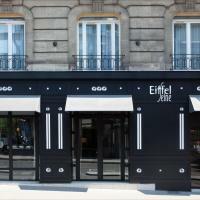 The Hotel Eiffel Seine also has a bar with a lounge area. A buffet breakfast is either served in the hotel dining room, on the terrace or in guests’ rooms. Situated in the 9th district in Paris, Residence Bergère offers 2 independent apartments just 1 km from the Galeries Lafayette department store. Parking is free on site. There is 1 person looking at these apartments. More Accessed by stairs, the 2-bedroom apartments feature a seating area. Bed linen and towels are supplied and the bathroom has a shower and a hairdryer. You can prepare homemade meals using the microwave, mini-oven and hotplates in the kitchen. A coffee maker is also provided. One of the apartments includes a dishwasher. Grand Boulevards Metro Station, 350 metres away, provides direct access to the Opéra Garnier and the lively district of République. The Sights and Sounds of the Paris area. Taking a vacation and don’t know where to go? How about that long awaited vacation to Paris?There are many sites and activities to be seen in Paris. Have a certain place where you want to go. Talk to you nearest tourist guide and they will be glad to give you some brochures and information. Your tourist guide can also give you prices of each or make up a package of the area and get one price for the whole vacation. I have some sites that sound great take a look there’s even a Disneyland resort for the children you might be taking along with you. Of course, we all like to go to Disneyland so you’ll enjoy as much as the younger one would. If you want they have a train you can all ride around to see the great sites in the Paris area. You can also take in a romantic show or two at Paris’s fabulous theatres. There are many shows offered to you all around Paris. Like music take in a concert or two. Some of the shows have three course meals with the ticket when you go to them. Eat, have a few drinks and be merry. Want to take a tour while you’re in Paris. Check out the Palace of Versailles Tour. It sounds like a fantastic experience combined with a learning tool. This palace of Versailles is a fantasy of gold, mirrors and marble all over the place. As most tours are an educational experience too, you’ll learn the history and inhabitants revolved around the palace. The Grand Royal Apartments are in here to visit along with the Hall of Mirrors and the Queen’s private apartments too. The Queen’s private apartment sounds like that would me my favorite to see. Step outside of the Palace and check out the garden sculptures and statues. From the pictures, I’ve seen they are beautiful. The marble vases sitting around would put the final touch to the gardens. Huge vases are beautiful and these were from 1661 on by Charles LeDrun who is a favorite painter of the kings. The tour to the Palace is a four-hour package so get lots of sleep and put your walking shoes on. Have you heard about the Eiffel Tower? This package is combined with a cruise too. Sounds romantic doesn’t it. You’ll get a tour first with a tour coach revealing the history of the Western Paris. After your tour, you’ll hop on a boat and take a cruise down the River Seine. On your cruise, you’ll learn all about the city’s history and the story behind it. As you finish, the cruise down the river hop out and enjoy the Eiffel Tower. Take your time and enjoy, don’t forget to stop on the second floor and enjoy the sites over the Paris area. Do you like castles stop off and visit the Three Loire Valley Castles. They all have names, Chemonceau, Cheverny and Chambord. While here, you’ll hear about the famous Garden of France and get a three-course meal with it. The Chemonceau gardens will give you a view of the River Cher. One of the castles name is Cheverny, still owned by the original family and furnished with 17th century furniture. In addition, the last one is Chambord the retreat for the French Kings. While visiting the castles, you’ll be invited to a three-course dinner in the French restaurant to finish off your tour of the Three Loire Valley Castles. Want to get romance in while in Paris take a cruises along the River Seine. The cruises is based on romance, you can brush up on that French you used to know and take in the scenery accompanied with music along with way. You see popular landmarks and hear the history of the city. The banks of the River Seine are known as the World Heritage site. The list is to name a few sites you can visit in Paris. Check to see if any of these are in the area that you want to go to. Have fun and enjoy. Take A Break Holidays takeabreakholiday, Paris area Accommodation.